As the first week of July is here, I thought I would remind everyone (mainly myself) to keep the love of reading flowing throughout the summer months. 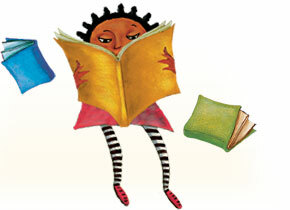 A fun program to encourage your young ones, is to have your child sign up for the Barnes & Noble Summer Reading Program and when they read 8 books you can take them in to pick out a brand new FREE book. The program goes from May 21-September 3, 2013.